Dancescape XIV - Cheshire Moon Inc.
DANCESCAPE XIV was held SATURDAY, MAY 19, 2012 at LEVEL 3 NIGHTCLUB in Hollywood. Hosted by Valerie Rebecca Moise & Liana Blackburn of Dancers’ Alliance. Click here for photos of the event by Sterling Knight. Click here for our video on Youtube. 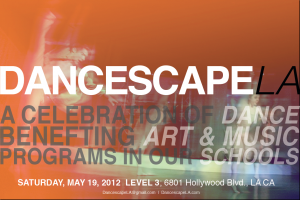 Click here for Dancescape XIII.